There are dozens of ancient cities in the world, with some still slowing coming to light thanks to the technology including laser scanning and ground penetrating radar. Whilst it is hard to imagine just how an entire city can become “lost,” they offer a fascinating insight into human history, and a whole lot more. Travelling to an ancient cities give a glimpse of history and a sense of awe. They are the perfect places to visit for those with romance in their hearts, so perhaps surprise your beloved with a trip to one of these locations and add a gift from Eternity Rose. A world tour or an experience is definitely one of the best gift you can give to yourself or to a love one. Many travellers nowadays are on a world tour as a to visit the ancients cities in the world. From far east, central Asia and Europe, and even to the South America. This way of travelling is probably one of the fun ways to explore the world. 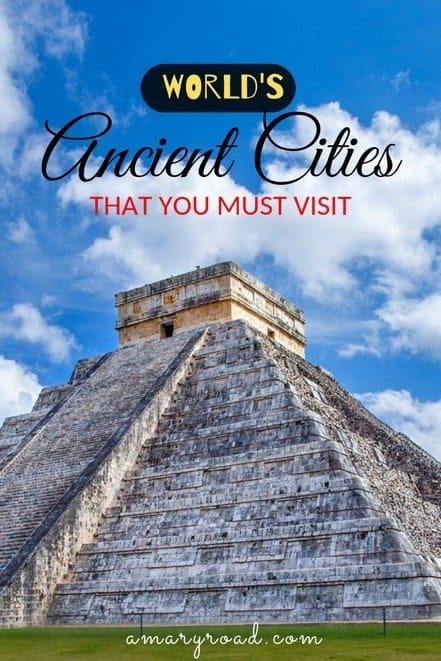 Here are some of the best ancient cities in the world for those planning their next vacation while these are the oldest cities that are still inhabited. Are you ready? Here are the most stunning ancient cities in the world that you must visit soon or before you die. We categorise them by continent so it will be easier for you to navigate or you can use the table of contents above. There are many cheap flights to anywhere in the world that can take you to these place without breaking the bank. The ancient city of Thebes is an ancient city that lies within the boundaries of what is now the city of Luxor, on the banks of the River Nile. 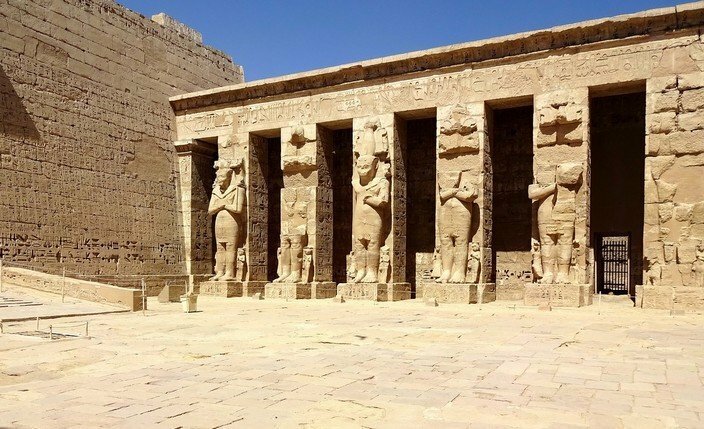 Around 1550BC Thebes was the religious and political capital of Ancient Egypt but remains famous today for having some of the most striking, and the largest, ancient monuments ever constructed, including the tomb of Tutankhamum and the Valley of the Kings. The list of sites to visit as long as your arm and covers a massive area impossible to cover by foot. However, hiring a bike makes it possible to see the sites, including the Temple of Luxor in the city centre and the Karnak Temple. Everywhere is going to be busy, but the Habu Temple and Seti I Temple as well as the Tombs of the Nobles less so, and well worth a visit. 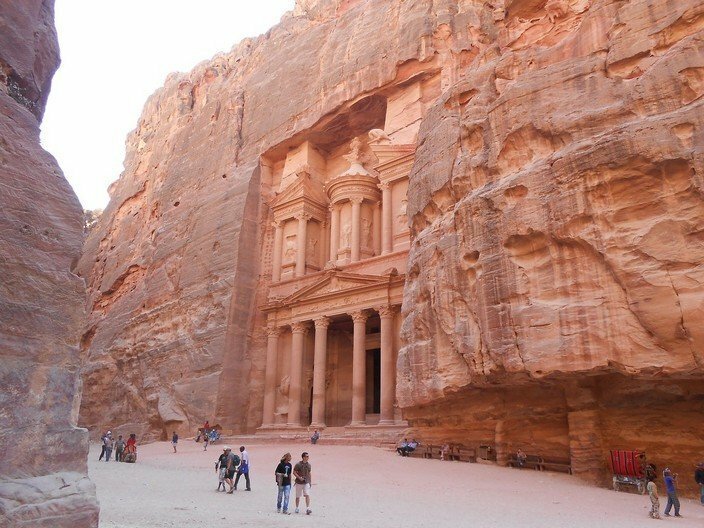 The ancient lost city of Petra is located in the southern Ma’an region of Jordan and is estimated to have been built in the first century BC and was once the Nabataean capital city, though evidence of occupation on the site goes back 9,000 years. The first thing you’ll see is the carved rose-coloured façade of the Treasury, though some scholars believe that it’s actually a ceremonial tomb. The colour of the stone is the reason that Petra is also called the Rose City. It was re-discovered in 1812, and archaeological studies continue to this day as it is believed that only 15% of the city has been uncovered so far. Petra offers hundreds of tombs, houses, a theatre seating 3,000 as well as obelisks and altars where animals were sacrificed to the gods. The cheapest way to get to Petra is by public buses, which go early in the morning. There is also a tourist bus, but that costs more. You can stay just outside Petra or about 20-30 minutes away in Wadi Musa, which is cheaper. Get there when the gates open at 6 am, and you’ll have the place to yourselves for a good hour. Angkor Wat in the Siem Reap province of Cambodia is considered one of the most important archaeological sites in Southeast Asia. 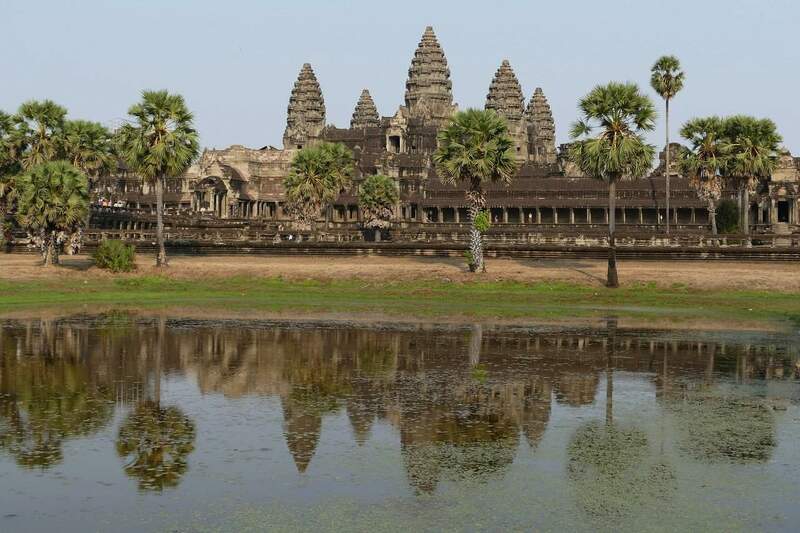 It was started by the Khmer in around 800AD and covers more than 150 square miles and includes the famous Temple of Angkor Wat and the Bayon Temple. You can book one, three or seven-day passes, but the one-day pass is it’s a long old day of exploring temples. The monuments are impressive, covered in friezes of devils, soldiers and dancing girls, but the ancient urban plans and large water reservoirs, as well as evidence of centuries-old communication routes, are also jaw-dropping considering their age. Visit in the early morning, and you will feel like you are in the middle of a painting. Top tip is to buy a ticket at 5 pm for the following day, and you can stay and view the place at sunset before your ticket is valid. A UNESCO World Heritage City, and one of the oldest lost cities, Sukhothai Historical Park (Sukhothai means “the dawn of happiness”) is in central Thailand and has stunning works of art, temple ruins, and historical sites. 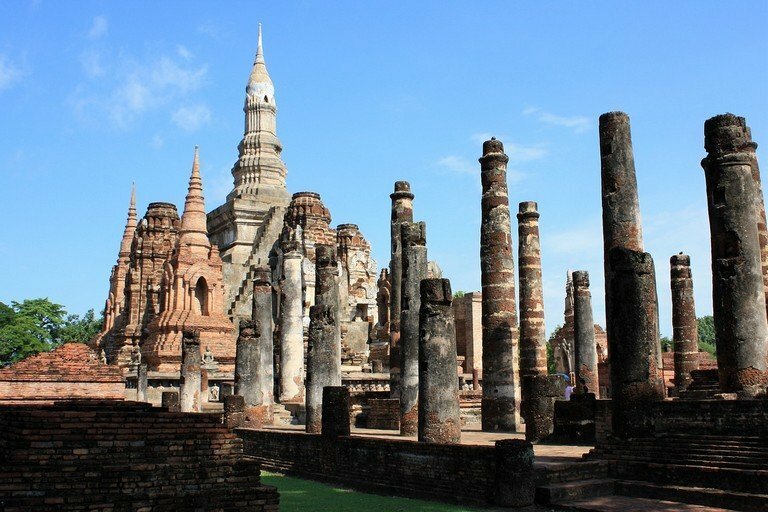 This old city of Sukhothai which was the first capital of Siam is located near the modern city of the same name and is 427km north of Bangkok, which takes 7 hours in either a VIP or second-class bus. Sukhothai Historical Park covers an area of about 70sqkm and contains more than 190 historical ruins. Wat Mahathat was the spiritual centre of the kingdom, and there is a royal palace to the northwest. Cycling is the best way to view the ancient ruins because the park is divided into five areas and unless you cycle or go by motorbike there is no way to see them all, though there is an extra fee to take a motorbike or a bicycle inside. Persepolis, or ‘the city of Persians,’ dates back to 518 BC and was the capital of the Persian Empire. Sited near the city of Shiraz, at the foot of Kuh-i-Rahmat or Mercy Mountains near the city of Shiraz, there is no other site in the world like it, and it is easy to spend the day here. Built on both natural and artificial terraces are the vast ruins of a large palace complex that escaped being burned by the Greeks in 330BC, under the rule of Alexander the Great. Fifteen pillars still stand intact, and three more were re-erected in 1970. Behind the compound at Persepolis, there are three tombs hewn out of the rock in the hillside which are richly decorated with reliefs. 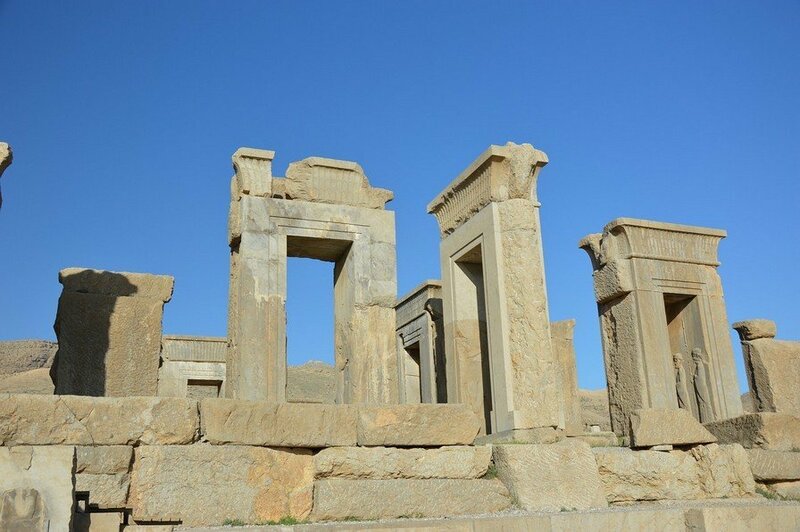 You can easily spend an entire day at Persepolis itself, but if you want to see other sites too, hotel tours are reasonably priced but get a group of four together, and you can hire a taxi for the day to give you more freedom. When Asia Minor was incorporated into the Roman Empire in 133BC, Ephesus was designated as the capital of the new province Asia due to its position on the eastern Mediterranean. At its peak in around 200AD, this was the third-biggest city in the world, and its widely-spread ruins include some of the finest Greek and Roman architecture, with ornamental gateways, fountains, temples and amphitheatres. 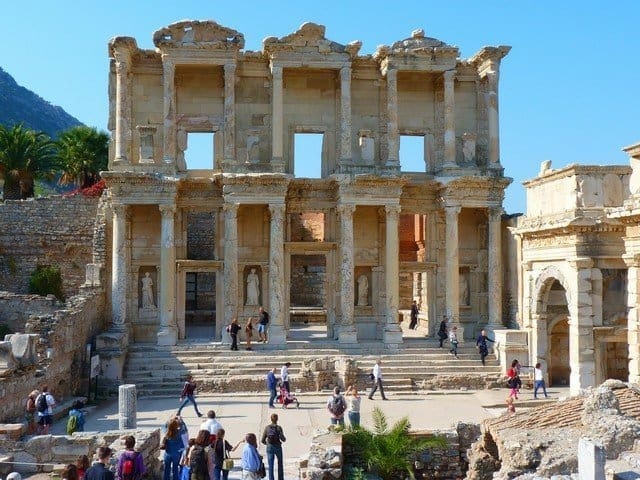 Archaeologists have unearthed grand monuments of the Roman Imperial period including the Library of Celsus and terrace houses, which are well worth a visit and are undercover, protecting you from the sun. Temple of Artemis, One of the Seven Wonders of the World, has few remains, but it is worth making a beeline for the main attractions so that you miss the crowds for the organised tours. Starting at the Lower Gate, which is closer to town and therefore cheaper to get to, means you can see the main sites before anyone else. Located on the west coast of Gujarat, modern day Dwarka has become known as Lord Krishna’s abode and is a significant pilgrimage site for the Hindus. There was a myth about a city of 70,000 palaces all constructed with crystal and silver and decorated with emeralds which were said to have sunk into the sea after the death of Lord Krishna. The ruins at Dwaraka (also known as Dvaravati, both names meaning "the many-gated city" in Sanskrit) sit 131 feet beneath the water’s surface in the bay of modern-day Dwarka, one of India’s seven oldest cities. One of the artefacts recovered from the site, dates back to 7500BC, supporting the theory that the ruins are likely to be the ancient Dwarka. There are companies in Dwarka that arrange scuba-diving trips, but they are expensive, though if you can get a group of five together, it is well worth it. If you have more time in India, check this Hampi itinerary from Bangalore. Pompeii was destroyed in 79AD when Mount Vesuvius erupted and covered the city in ash, including its citizens who became ash-encased mummies. Just a 30-minute train journey from Naples and then walking for 30 minutes (less than 2km), this fascinating old city is frozen in time and you can walk ancient streets to see the remains of bakeries, an amphitheatre, forum, baths and even brothels where various sexual positions were painted on the wall from which the client could make their choice. 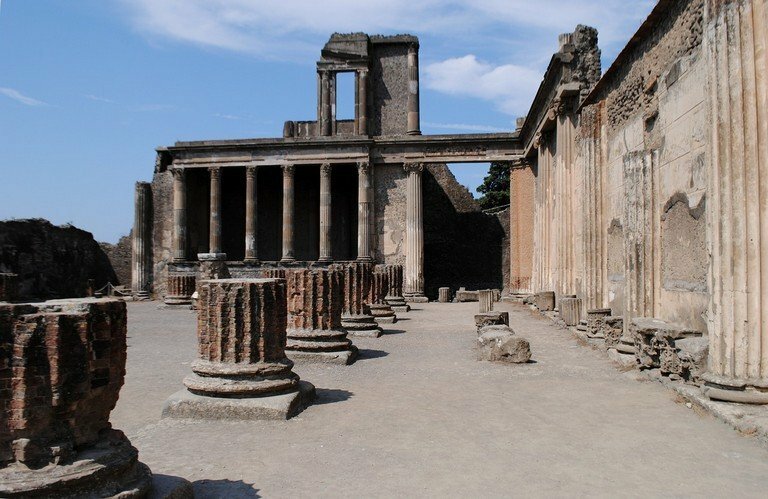 Walk in the direction of Vesuvius when you enter the archaeological site, and you’ll come to a hill that gives a fabulous panoramic view of Pompeii. Perhaps the most famous of all lost cities, Machu Pichu is located high in the Andes mountains of Cusco, yet is the most popular, and arguably the most picturesque. The rocks and former terraces can be accessed from Cusco via a scenic 3.5-hour train journey to Aguas Caliente, a small tourist town at the base of Machu Picchu Mountain and then a short bus ride to the top. An alternative there is a Machu Picchu hike taking the Inca Trail to reach it, which was created more than 500 years ago and takes four days to traverse the almost 27 miles. The trail is believed to have been built as a holy pilgrimage. You’re not going to be alone when you arrive at Machu Picchu has more than three million visitors a year. Famous for its beaches such as Playa del Carmen, Chichen Itza is a lost Mayan city on the Yucatan Peninsula. Once a wealthy and culturally advanced civilization thrived here and the preservation of the ruins are impressive. 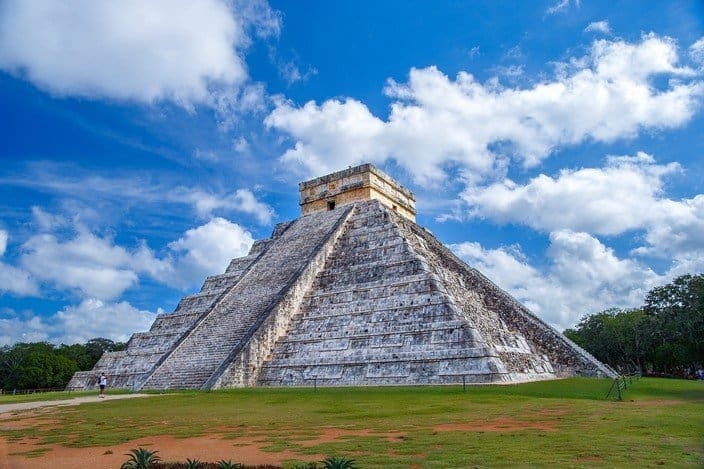 Astronomy was an important part of life, which can be witnessed at both spring and autumn equinox as the sun hits the stairs of the 27-metrе tall Temple of Kukulkan. The steps represent each day of the year, and at the equinox, the shape of the feathered serpent god named Kukulkan appears in shadow on the side of the pyramid. It’s not clear whether it was war, drought or something else that led the city to be abandoned in the 13th century, but when the conquistadors arrived from Spain, Mayan society was gone. 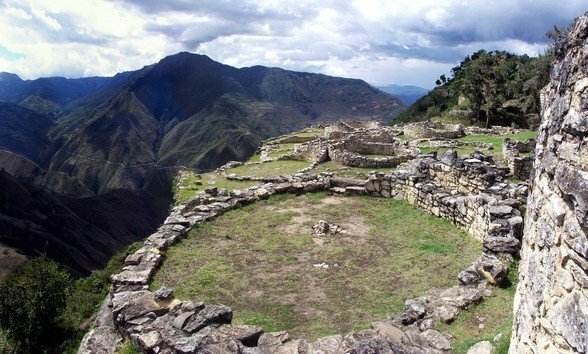 Less well known as Machu Picchu, Kuelap is a ruin of citadel city, Chachapoyas, in the north of Peru. Kuelap is older, larger, far quieter and now easier to reach than Macchu Picchu thanks to a cable car that takes just 20 minutes before a final walk to the city 3,000m above sea level. Abandoned in the 16th century when the Chachapoyas (Cloud Warriors) were wiped out by the conquistadors through war and disease, this intricately-engineered fortress of hand-carved stones, with temples and the sacred rocks, as well as other buildings that are enough for you to imagine what life was like when more than 5,000 people lived there. Whilst the cable car is great in cutting travel times, consider taking the old route that passes through local communities, who have lost trade since the cable car was installed. Even better, consider spending the night at one of the accommodations close to Kuélap, which also means you will be able to enter the site before all the tour groups get there. 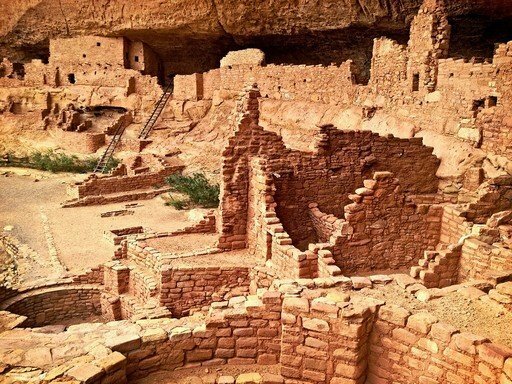 A former settlement of the Pueblo people, Mesa Verde, is a UNESCO World Heritage Site located in Montezuma County, Colorado and is most famous is for the Cliff Palace, thought to be the largest cliff dwelling in North America which was carved out of a cliff face. The last 21 miles to the site take about an hour to drive, so factor that into your visit. There are 5,000 archaeological sites in the park which covers more than 52,000 acres, including 600 spectacularly located cliff dwellings, built in the 12th century. Getting tickets in advance to some of the sites are also recommended as there are a lot of visitors and tickets are limited. The city was abandoned in the 14th century when drought and social instability forced the Pueblos to move south to Arizona and New Mexico. 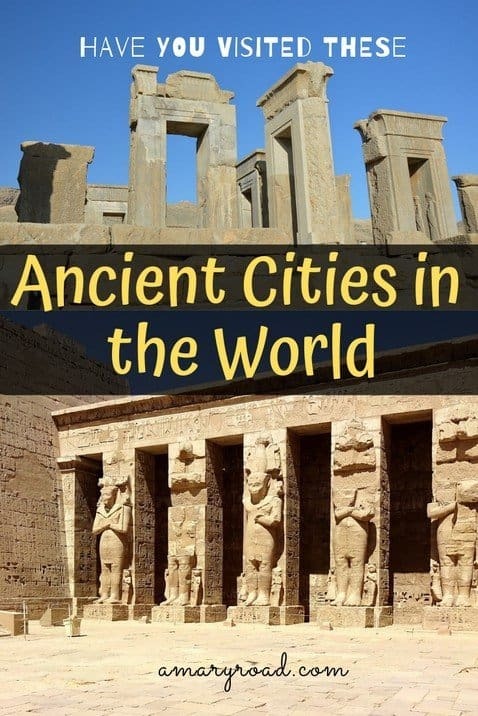 How many ancient cities in the world have you visited? I hope we helped you plan your next trip and inspired you to travel more and discover these stunning cities. If you have questions, leave us a comment below.